I have no idea when I stumbled over Spartan Blades and their knives. It was sometime around 2009 or 2010 and I immediately fell in love with their designs. Unfortunately for me then, I was a student short on money and there was no company in Europe which would import them at the time. It seemed like everytime something came up and it took me up until now, that I got me one of the larger blades (been carrying an Enyo for years now though, when I opt for going with a fixed EDC besides a folder). What I am trying to say is that I have been stalking the Horkos for basically 5-6 years now. 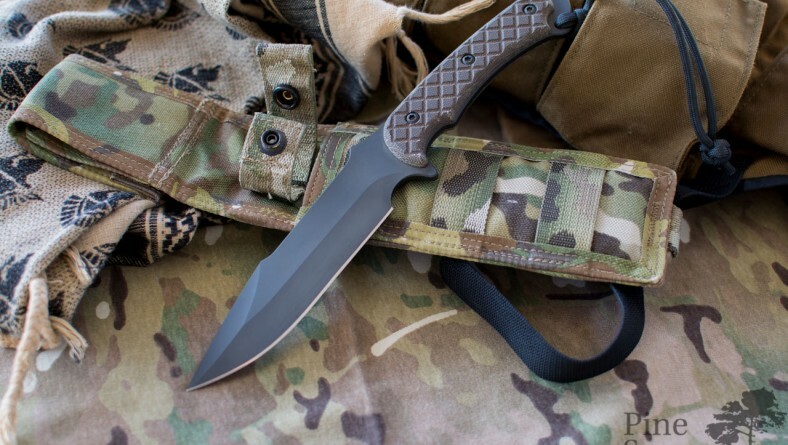 Let me tell you right now: Don’t make the same mistake and get the knife – here is why. 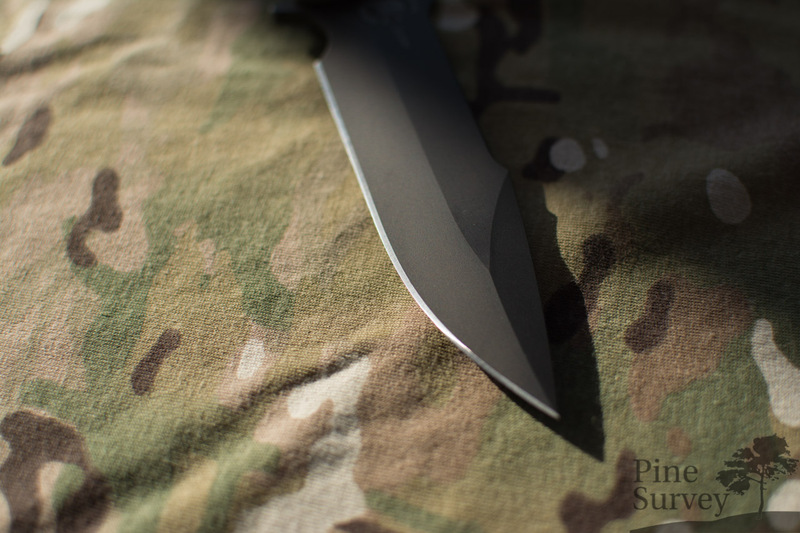 Looking at the pointy end of the blade (yes, that was a GoT reference) you have a classic drop point blade. 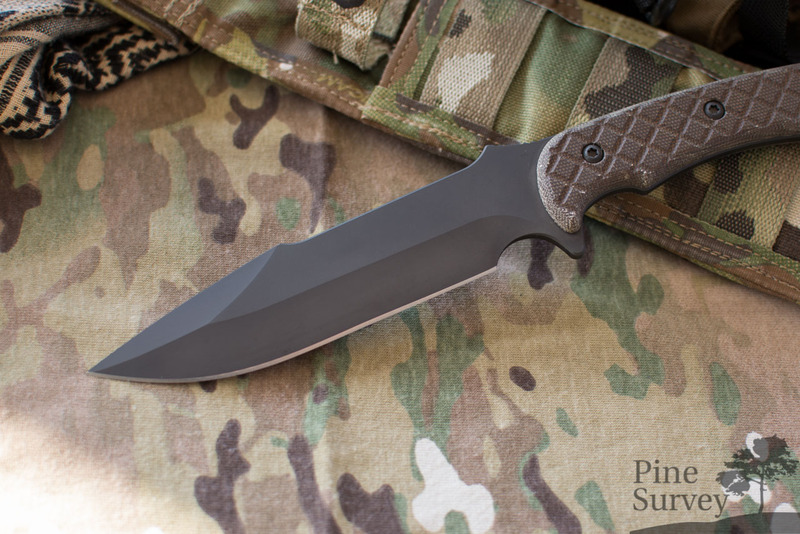 What makes this knife unique in its design is the rest of the blade though. The spine features a harpoon like design element which also takes you back to the famous (but not so historically correct) versions of the Spartan swords in the movies. At the center of the top you will find a thumb rest with a very grippy jimping. The blade itself also features a choil if you want to move your hand forward for finer cutting tasks. The finish is a PVD tungsten DLZ coat, which is highly resistable against wear. Everything is symmetrical and the edge is scary sharp. Also it features a near polished edge. 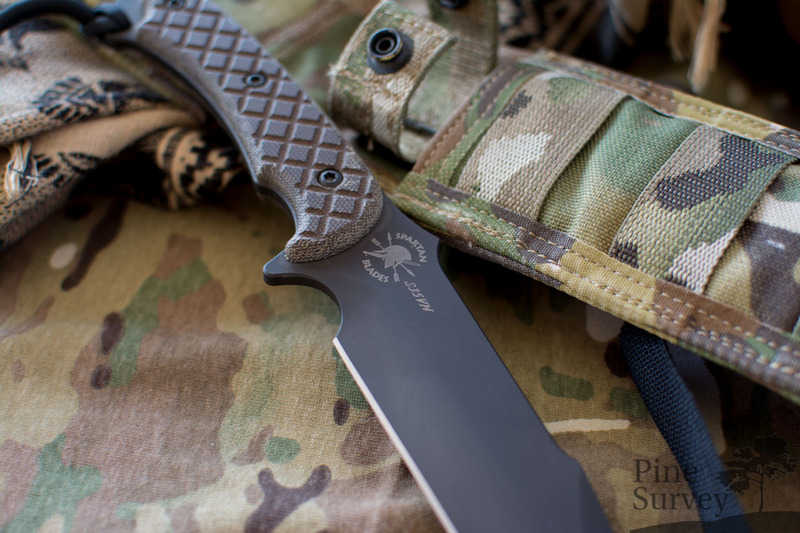 The Spartan Blades Logo and the steel type are laser etched into the coating. 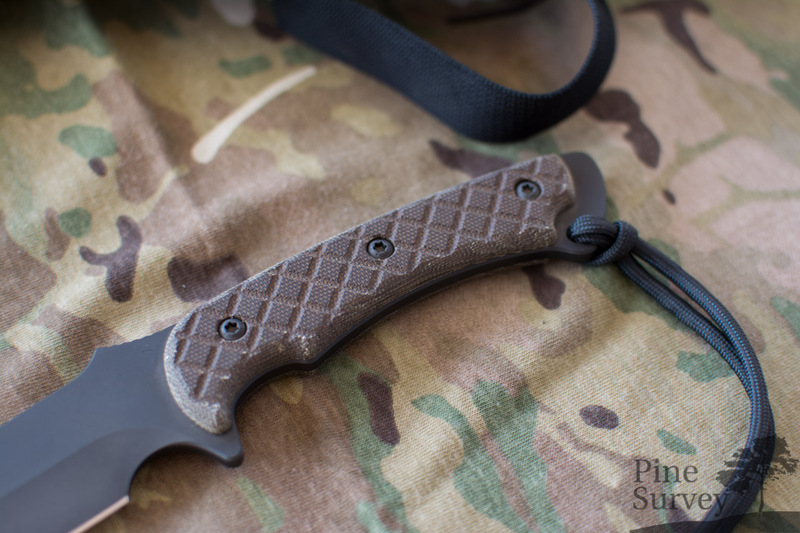 The handle material is Canvas Micarta and features a checkered structure on top which results in a highly secure grip. It is not only the handle material and its texture. 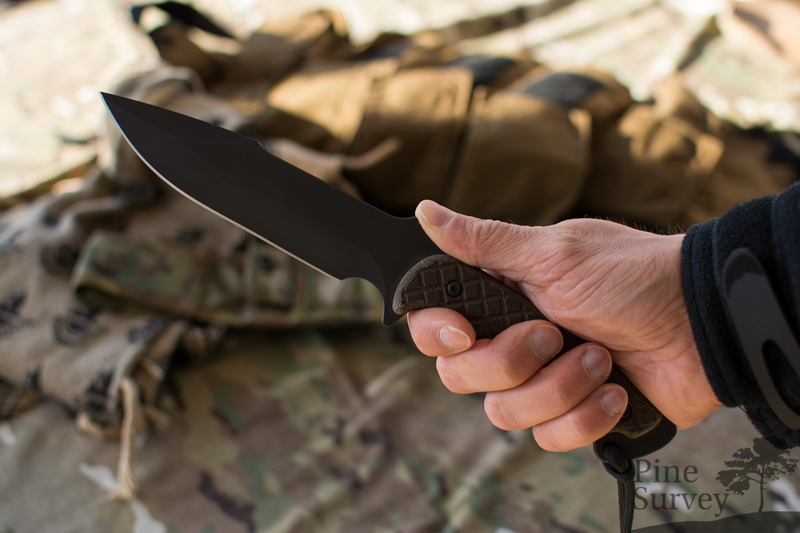 The whole shape of the handle locks the knife firmly into the hand of the user. You immediately go into the fencing grip, pushing your thumb against the thumb rest. 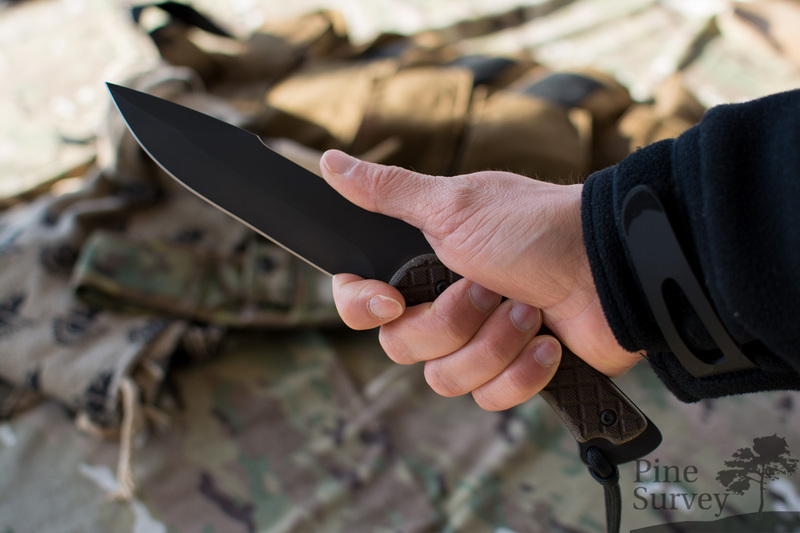 The index finger lies comfortable in its own groove, the rest of the fingers have enough room on the rest of the blade. The handle has a perfect size for my hands (size 10, Blakläder working gloves). 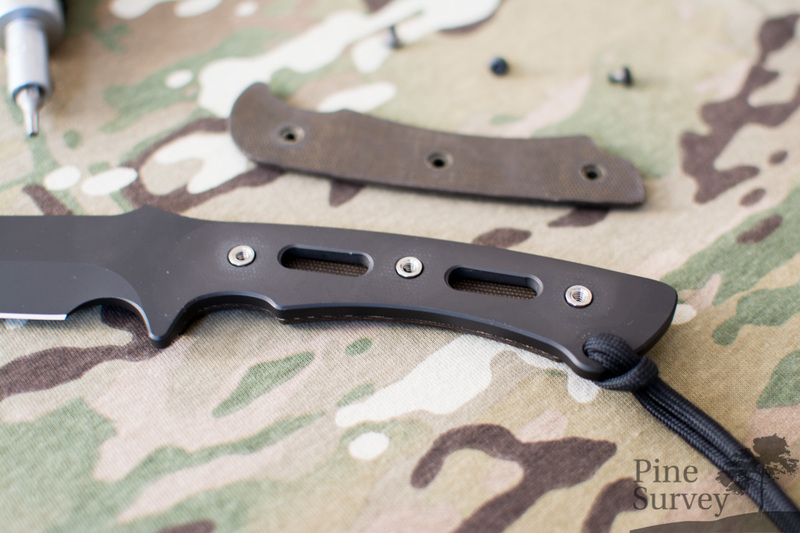 The handle is a full tang, but skeletonized. Three T15 screws are holding the Canvas Micarta handles in their place on each side. 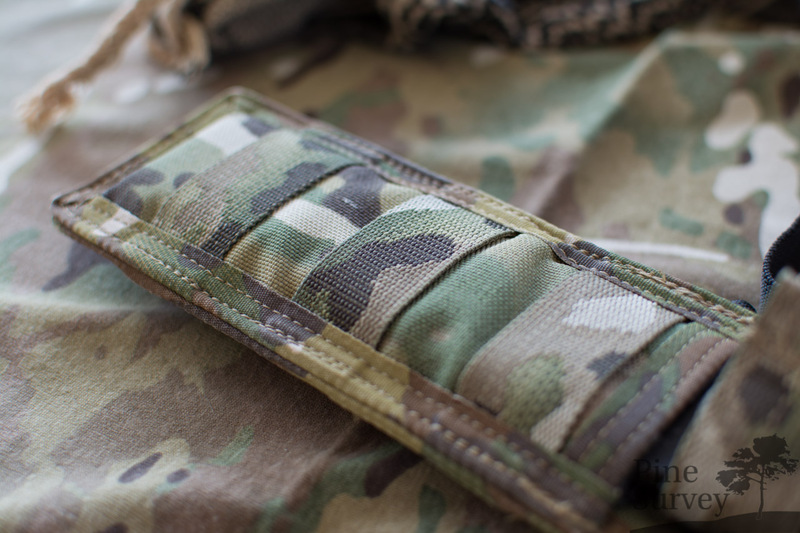 Something always worth mentioning: At the pommel you will find a U.S.A stamp and a lanyard hole for securing purposes. 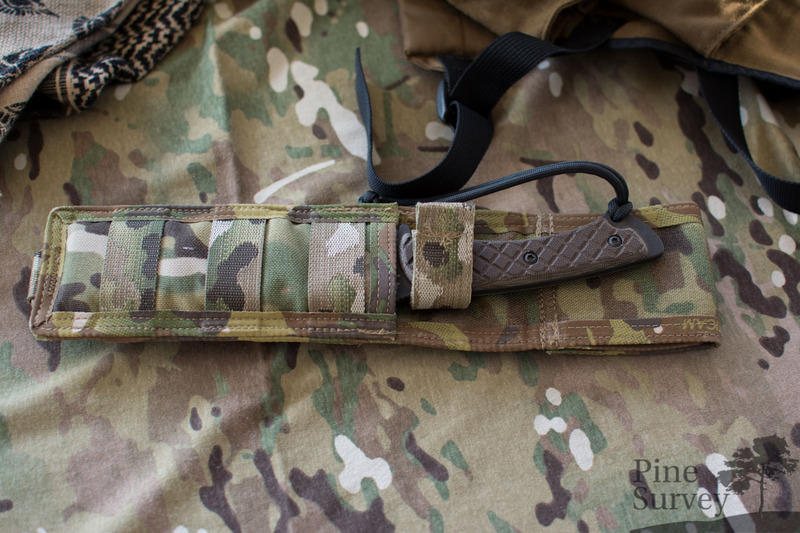 The sheaths are made by First Spear (Ex- Eagle Ind. 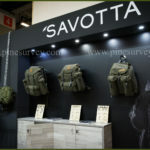 ), the craftsmanship is top notch, they are MOLLE compatible (horizontally, vertically and diagonally), and they are low profile. Here are 1-2 detailed pictures nevertheless. 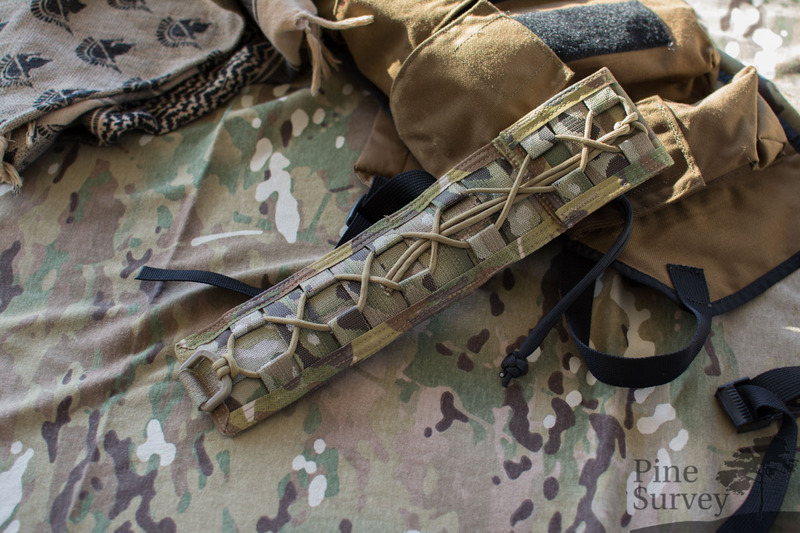 Please take note, that First Spear used the jacquard woven Multicam webbing by Murdock Webbing! 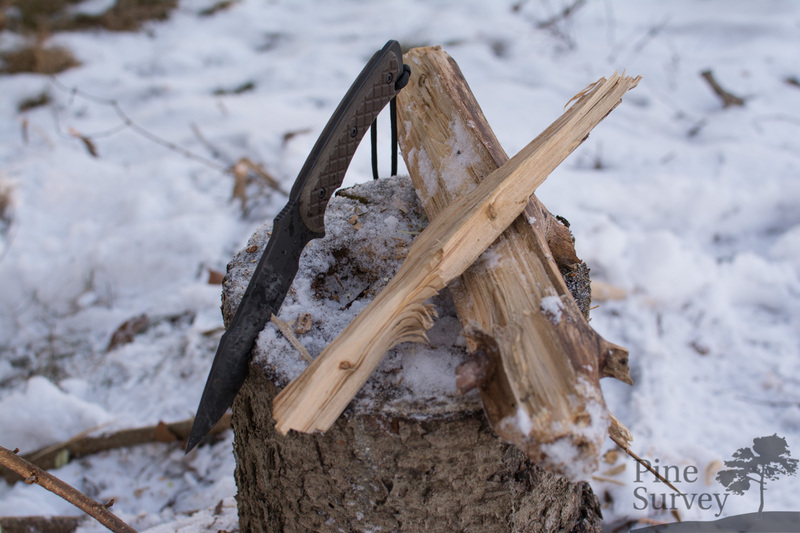 As always I took the knife with me into the woods to do some basic chores as you can see in the attached video. Before I come to my observations about the activities shown in the video, I want to go into the basic feel of the knife. Overall it is flat and therefore has a low profile. I can imagine this comes in handy when wearing it on a vest, it certainly does so on a belt. The knife is also lightning fast in the hand. The balance point is exactly at the fingerguard between the choil and the index finger groove. 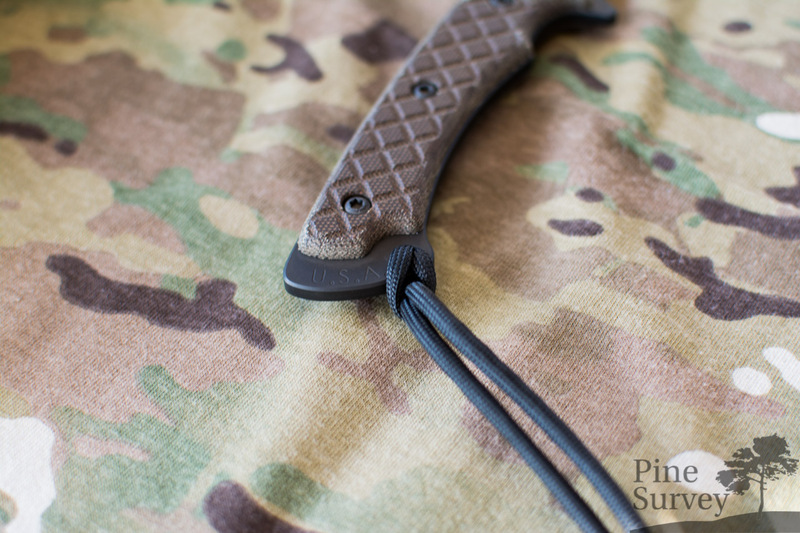 Because of the flat grip it doesn’t roll in the hand and the texture gives you a very, veryyy secure grip of the knife. To give you an idea: As you will see in the video I like to play around with my knives. Flip them around and so on. I am not sure if there is an english word for it, but a friend of mine called it “doing magic tricks”. Either way, I only do this with knives I feel comfortable with – knowing I won’t drop them by accident and damage them. So most of the time I am doing this with a safeguard (something soft to catch the fall to the ground). Long story short: The Horkos is the very first knife in my possession with which I am so self-confident that I don’t need this safeguard. Because of the flat grip, the texture and the shape of the handle it is very controllable, firm in the hand and doesn’t slip at all. As you can see in the video, I did the tricks with gloves on – I rest my case. Coming to working chores. I would have to say that the Horkos is primarily a fighter and secondly a worker. It was able to do everything I threw at it, but depending on the work, it took some time. Chopping/Slashing: Being a light fighter, it was able to slash thumb thick hazelnut branches with 1-2 blows without a problem. I didn’t have bottles at hand, otherwise I would have slashed some water bottles to show you how good it is. Chopping on the other hand was more work and took some time. The branch you see in the video was a dry hard piece of beech. So you can figure it was quite hard wood. I chopped through it at first without and for a second time with a baton. Both ways I was able to chew myself slowly but effectively through the wood. Batoning: this was a little bit easier, but again the beech tree gave me a little bit of trouble. Again, it did what I threw at it, but in its own time. Drilling/Stabbing: I also did a little bit of drilling and stabbing to see how much the tip would take. To be honest I was a little bit afraid, because I already destroyed knives that way. 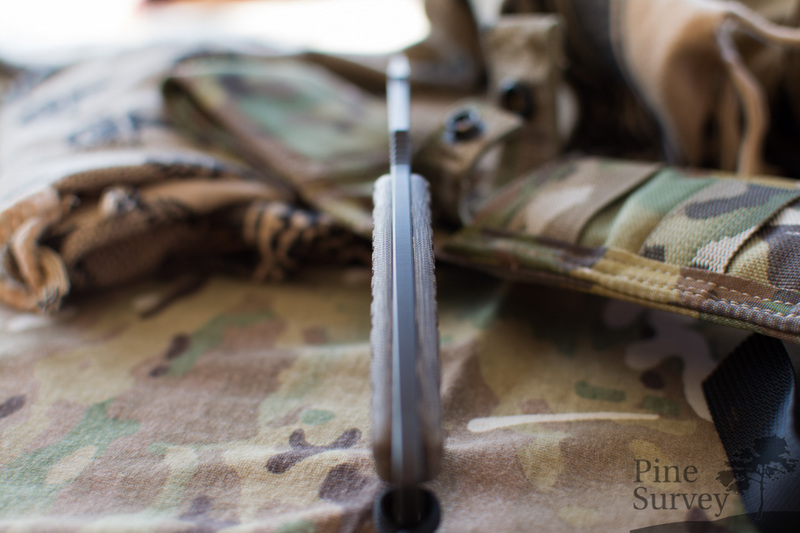 My fears were pointless though – even though the tip might seem thin, the combination of the S35VN and the grind of the tip did their magic and the tip was not bothered. Carving: Since the blade is scary sharp and has a fine profile, carving and etching was easy work. Feathersticks were quickly made and sticks sharpened also. In doing all this stuff my hands did not get tired or sored. The knife was comfortable to work with, didn’t give me any problems and was cleaned very fast. 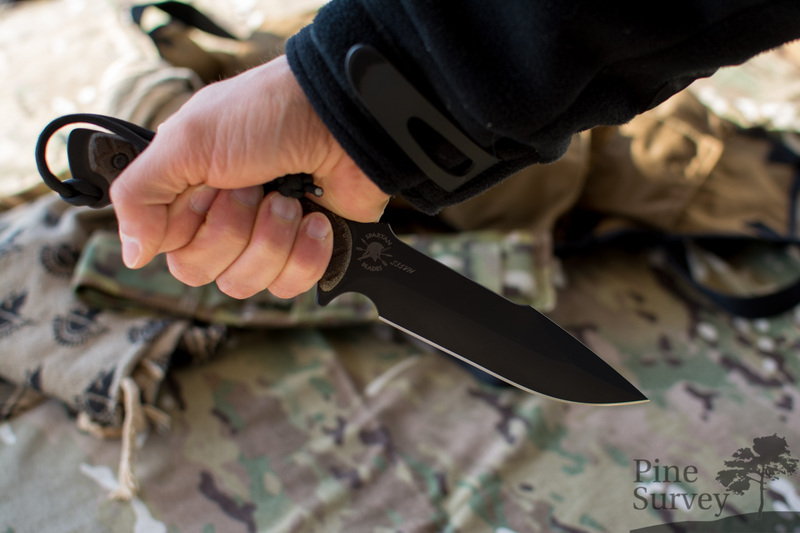 Up until now I didn’t have to sharpen it so it holds its edge pretty well – which comes to no surprise If you take a look at S35VN. 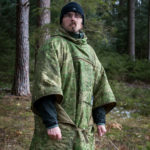 I hope I was able to give you some impressions of the knife and also give you an idea, why I am so mad at myself for waiting so long to pick it up. 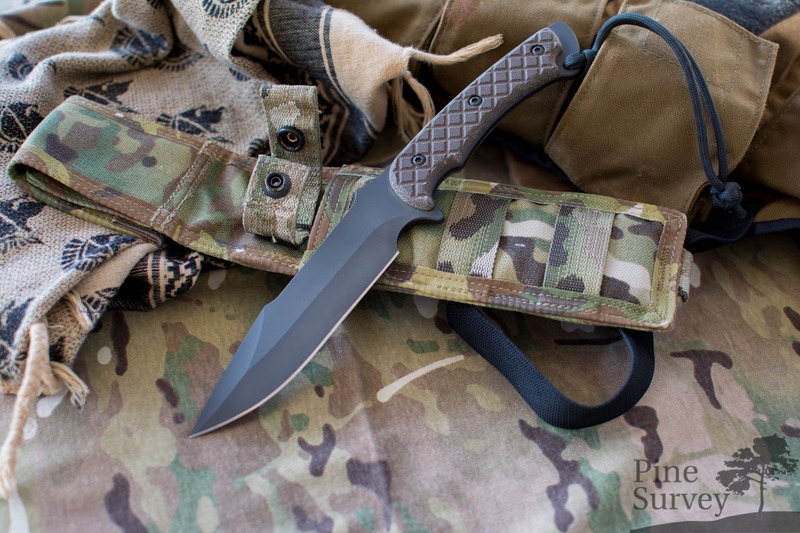 If you are looking for a low profile fighting knife (meaning a flat one), that is also able to work the common field duties, you should definitely take a look at the Horkos. There is much about the knife that makes it fascinating. The design is quite unique and I really like the symbolism behind the name. “Horkos” comes directly from the greek mythology and is the name for an oath and the protector of honor. Having a thing for all sorts of symbolism you can imagine that I prefer the products of people who not only deliver a product, but also put some thought behind it (design, functionality and naming it). Having the privilege to know Curtis and Mark personally from my visits at IWA I can also tell you that the people behind Spartan Blades are amazing as well. There would be so much to tell you, like the fact that the knife is also awarded to the graduation classes at West Point, the military background of Mark and Curtis and so on. This things have been covered by different sites and blogs and I think I don’t have to repeat all this. 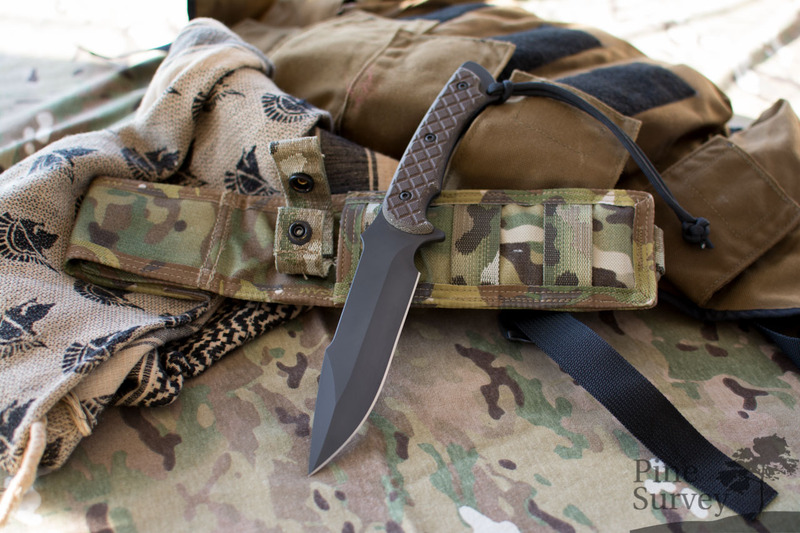 All in all the Horkos is a no nonsense knife which is worth its money. I am pretty sure that this one is a keeper, but definitely no safe queen. So it will be put to work again. Thank you for your time! Also much thanks to G-Gear, where I got the knife from.